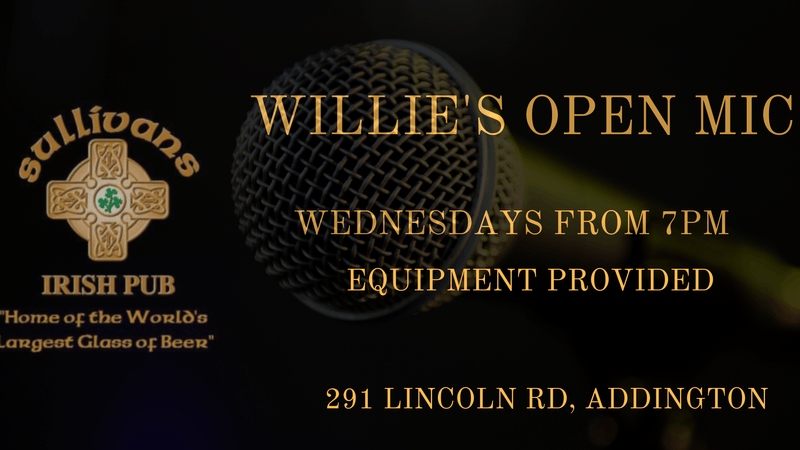 Willie's Open Mic is a safe and supportive venue for all levels and ages of performers. Instruments are provided (keys, guitar, Ukulele, Mandolin, bass). Backline amps, monitors and a full front of house is provided. Sets are 2 to 4 numbers per performer, depending on available time. Jamming with other performers is encouraged, but up to the performer on stage to decide. Come. Have fun. Invite yer pals to support you.